Keeping it light and free. As our world has continued to add more and more technology to just about everything, it is refreshing to see those items that take it back to the basics. With riding a motorcycle, those basics are all about you, your motorcycle, and the air around you. 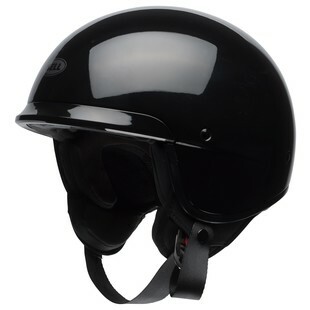 With the Bell Scout Air Helmet riders get a quality, DOT certified helmet that comes with a streamlined construction and is geared to keep them in tune with their surroundings, unencumbered by an enclosed faceshield. What the Scout Air gives up in face protection, it adds in facial expressions as riders can smile ear-to-ear with the wind in their grill and the sun on their cheeks. Additional features of the Bell Scout Air Helmet include a composite Tri-Matrix shell, five-year warranty, and 5 low-profile shell sizes. In the end, technology will advance. That is a good thing. However, for the days when you want to reconnect with the ride itself, the Scout Air from Bell is a great place to start.